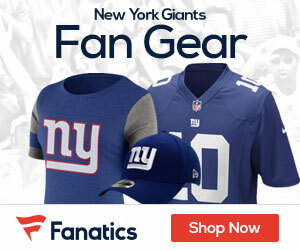 Giants fans! This book is for you. 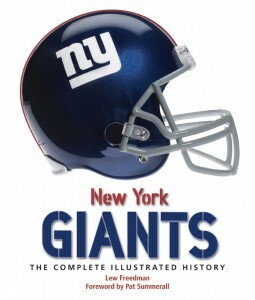 New York Giants: The Complete Illustrated History by Lew Freedman is a must for every Giants fans collection. The book provides a complete and through history of the Giants, with stunning photos, biographies on former players, special in-depth sections on the three Super Bowl wins and so much more. I had the chance to review the book from the fine people at MVP Books, and I was not disappointed. It’s everything a Giants fan could want: great pictures, great stories, and a great team. You can buy the book here. I truly recommend it, and hope you enjoy it as much as I did. Purchased in 1925 for $500 by bookmaker and businessman Tim Mara, the New York Giants were New York City’s introduction to professional football. The National Football League was a mere five years old—and for the near-century since, the history of football, the city, and the Giants has been inextricably linked. This thorough and thoroughly entertaining illustrated chronicle of the New York Giants football team tells the full story of the seasons, players, coaches, teams, and moments that have made history decade after decade. From the early years as an upstart sport in a big city heading into financial chaos, to the team’s triumph in the 1930s (including 1934’s famous “Sneakers Game” against the Chicago Bears); its return to glory in the 1950s behind the talents of Frank Gifford, Sam Huff, and Roosevelt Brown; and its pair of championship seasons in 1986 and 1990—these are the New York Giants, moment by colorful moment, right up to their upset victory over the New England Patriots in Super Bowl XLII. Crammed with player statistics and team records, and brilliantly illustrated with vintage and up-to-the-minute photographs, the book is a fitting celebration of a team whose name is synonymous with football in America.